This cake is made for Autumn. 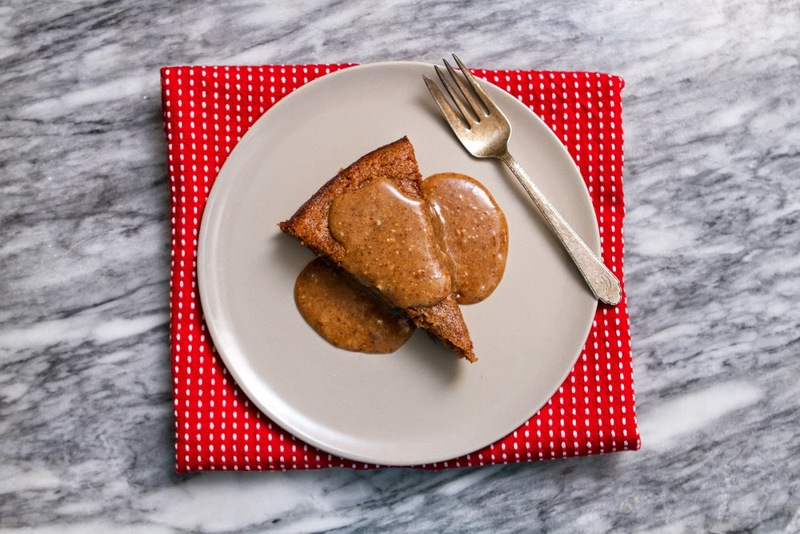 The rich, dense crumb, the sweet caramel-y dates, the nutmeg-cinnamon-clove spice combination- this is a cake to eat curled up in front of a fireplace while orange and red leaves drift slowly down past your window. 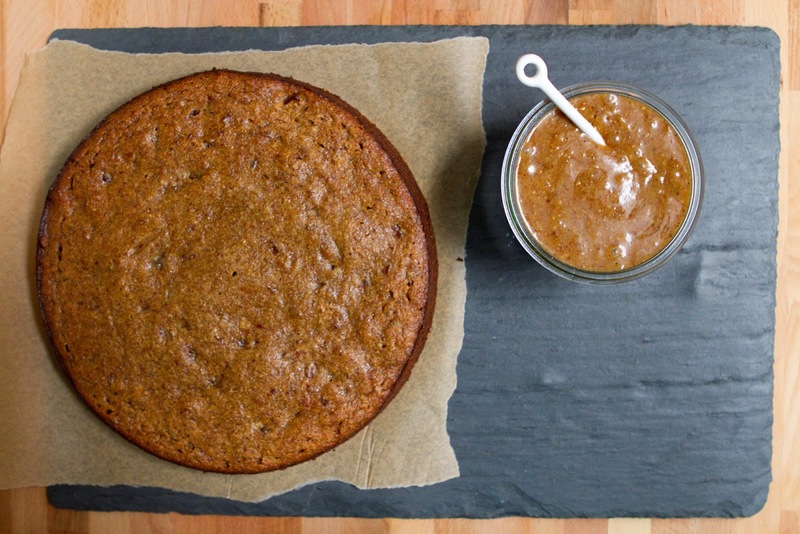 This is a cake to eat after you carve a pumpkin, rake your yard, or pick a bushel of apples. I made this cake all the way back during last weekend, but I didn't get around to posting it until now because I have a very seasonal problem, a cold. This has been a big work week for me though, so I've been pushing through the sniffles and the sore throat and the foggy head. Slices of this cake have helped give me strength. I've been working assisting a wonderful food stylist here and there for the last few months, Frances Boswell. Her work is just incredible. She has done extensive work for Martha Stewart and Real Simple, as well as written a cookbook. I've accompanied her on several editorial shoots for various magazines, and this Tuesday I had the good fortune of helping cook for a Martha Stewart Living shoot. I even saw Martha herself. It was pretty wonderful. For obvious reasons, I can't spill what the story was or what we made, but everything was beautiful and delicious. The Martha offices are a wonderland of cooking and crafting, and the test kitchen was essentially Disney World to me- so many Kitchenaids! So many ovens! Stainless steel everything! So many sizes and types of every cooking tool you could ever need! The day after the shoot at Martha Stewart Living, I came down with this cold, and haven't been able to beat it since. I console myself that at least I wasn't a sneezy mess on a food shoot, but if things continue how they are I shall be a sneezy mess while working a wedding tomorrow. A few slices of this cake for breakfast would probably make me feel better, but S and I finished it off long ago. 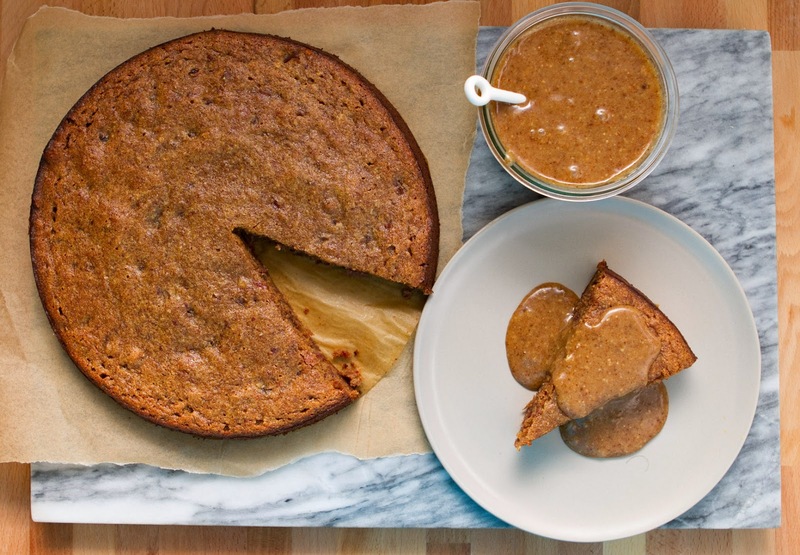 When I was a kid my mother used to make something called spice cake, which was a bit like gingerbread sans the ginger, and this is similar, as if it were a dense spice cake but with tons of dates. Or a gingerbread, without the ginger, and with fruit. 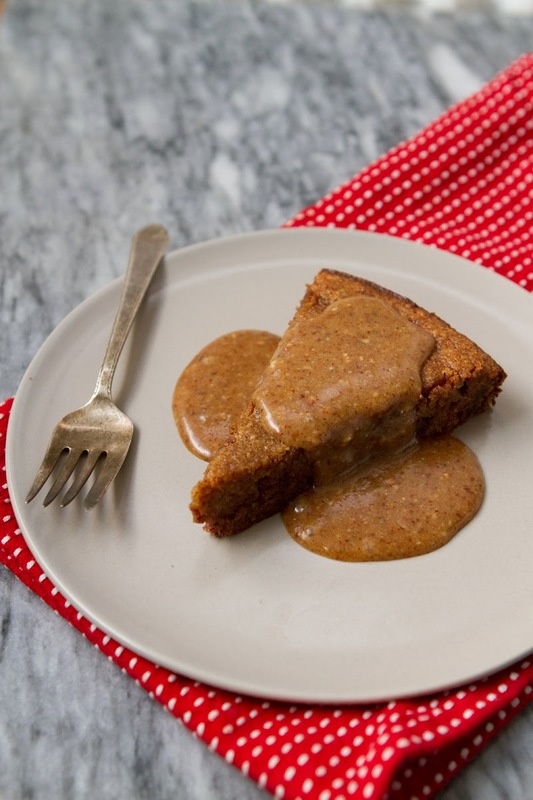 This cinnamon, clove, and nutmeg give this cake a decidedly autumnal taste, and the spiced toffee sauce with it's notes of cinnamon and almond really rounds it out. 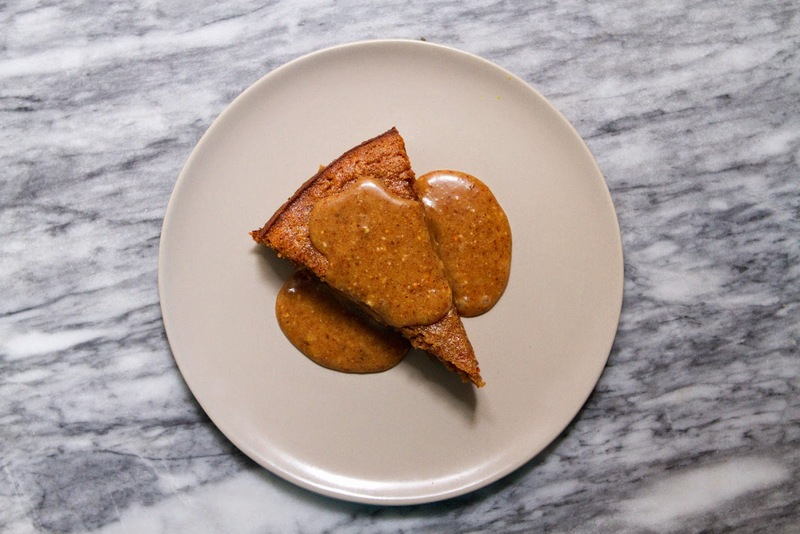 I adapted the toffee sauce from a raw vegan caramel sauce I found on Nutrition Stripped, and amped up with extra dates and spices. 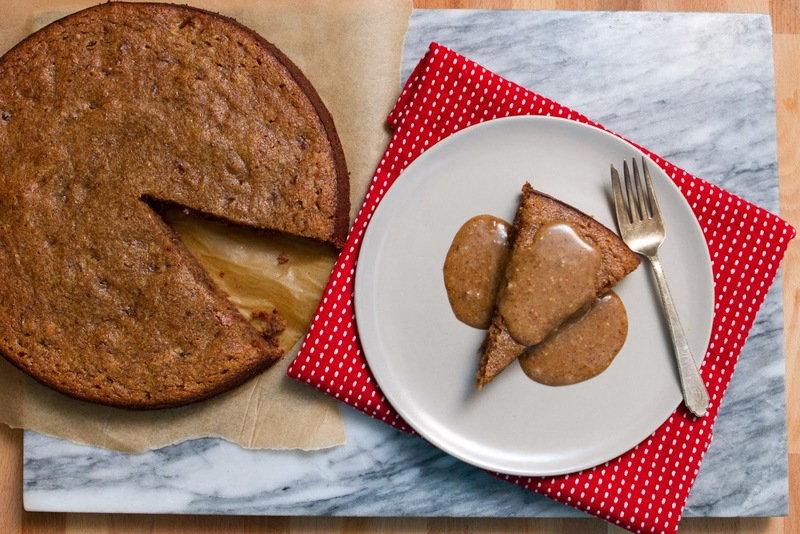 This cake is gluten and refined sugar free, and could be called Paleo, depending on your personal Paleo standards. 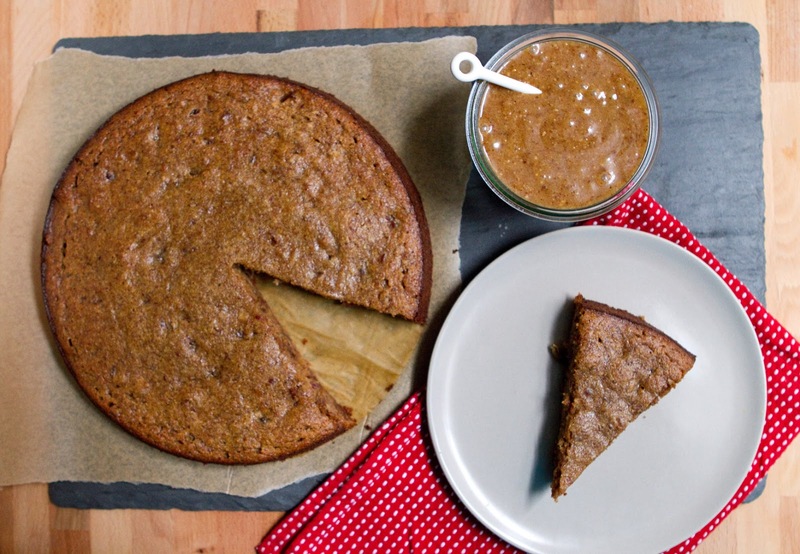 If you wanted, you could make the cake without the coconut sugar. 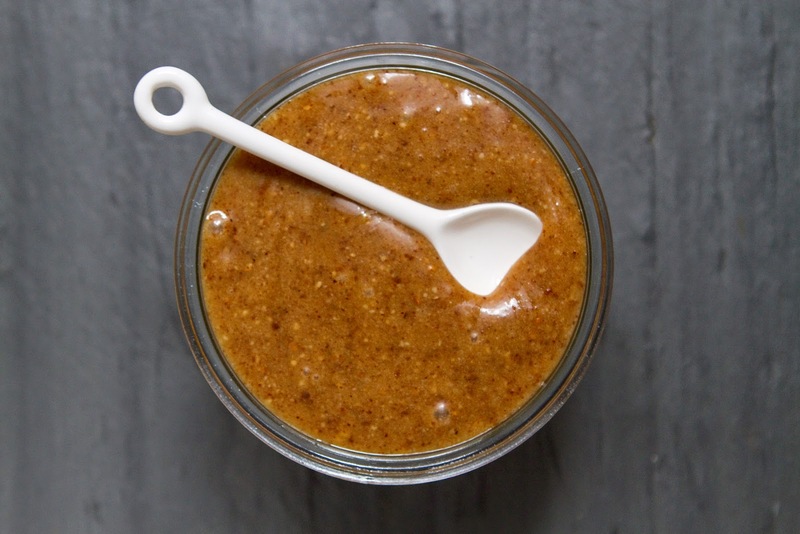 It will be slightly less sweet, so perhaps add a few extra dates, or another tablespoon of maple. This an excellent dessert after an autumn dinner, or even as an ending for a decadent brunch. Enjoy! Preheat oven to 350 Degrees Fahrenheit, and grease a 9 inch springform pan, (if you don't have a springform line a pan with aluminum foil or parchment paper to make removing cake easy.) I also like to cut a circle of parchment paper to match the bottom of my springform pan, and line it with it, to make cake removal a snap. 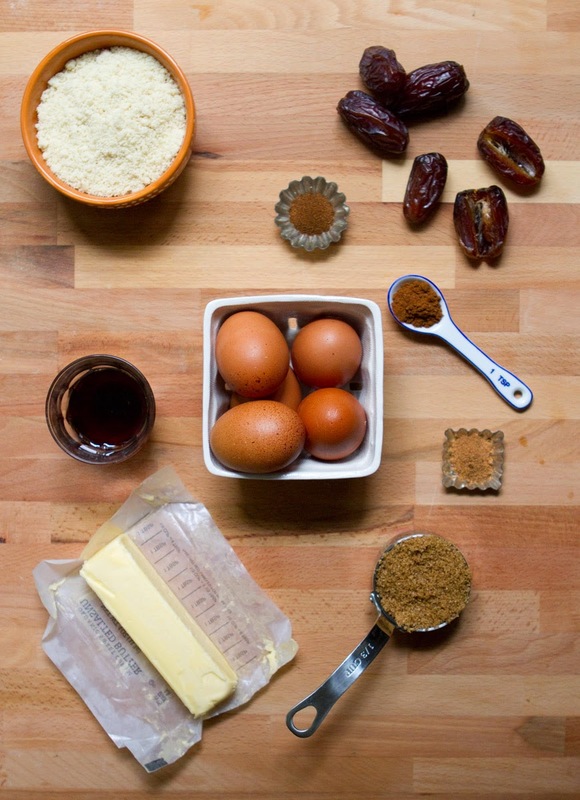 Coarsely chop 4oz dates and set aside. 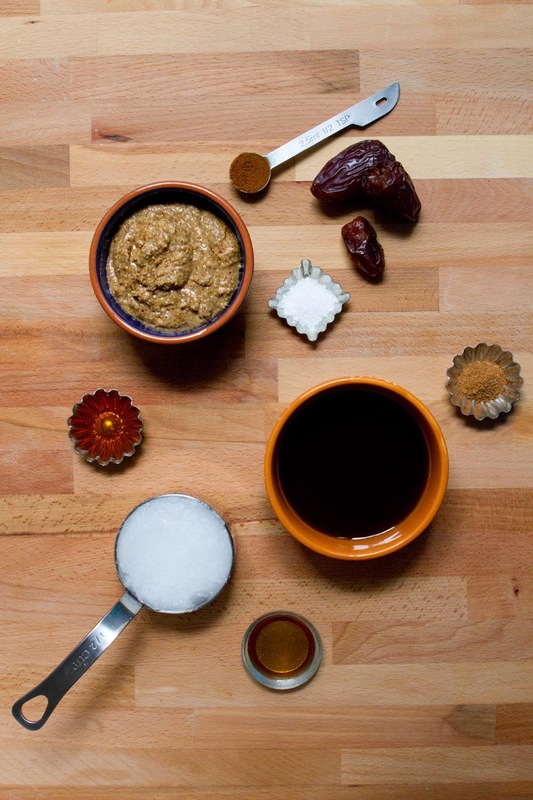 Place remaining 8oz of pitted dates to the bowl of a food processor, add the maple syrup, and blitz until a thick paste forms. Dump this out into a medium sized bowl, and add the melted butter to it. Mix until butter is well incorporated. In a second medium sized bowl, combine the egg yolks, cinnamon, nutmeg, clove, sugar, and almond extract. Beat until pale and creamy, about 2-3 minutes. Stir egg yolk mixture into date mixture and mix until well combined. Mix in the ground almonds, milk, and the coarsely chopped dates. In the bowl of a stand mixer, or using a hand mixer, whisk the egg whites until stiff peaks form. Fold the egg whites into the batter gently. Do not be over aggressive mixing in the egg whites quickly, take time and fold them in slowly. Pour batter into prepared springform pan and bake for 35-40 minutes, until a toothpick inserted in the middle comes out almost entirely clean. While cake is baking, prepare toffee sauce. Combine all toffee ingredients in the bowl of a food processor, or a high speed blender, and blend for 1-3 minutes, until sauce is smooth. After removing cake from oven, allow to cool a minimum of ten minutes before removing it from the springform. Serve with toffee sauce poured over top. Enjoy!